Order your own copy of For the Greater Good at your local retailer or online through our website today! Following the disappearance of four Arkham citizens from a charity event hosted by the Silver Twilight Lodge, you began your investigation into the city’s dark past, looking for anything that may explain what became of the missing and, perhaps, lead to their recovery. Your search began at the forsaken Witch-House that left you a little worse for wear, and now your night at Hangman’s Hill has left you weakened in spirit and resolve. You must go back to the beginning, to your first lead—the Silver Twilight Lodge. 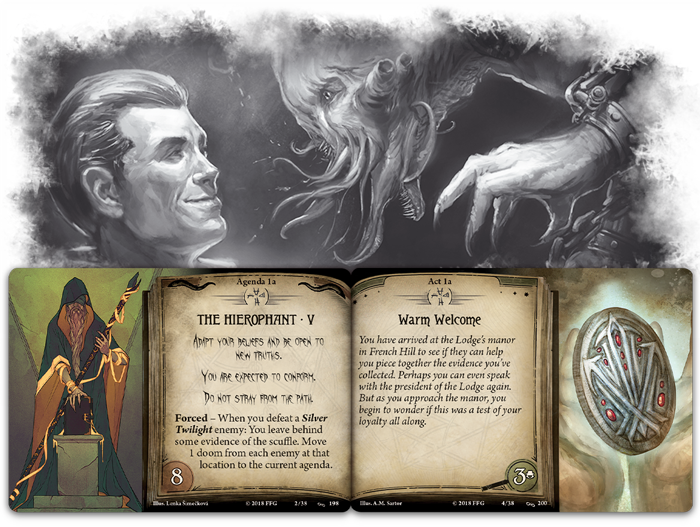 Fantasy Flight Games is pleased to announce For The Greater Good, the third Mythos Pack in The Circle Undone cycle for Arkham Horror: The Card Game—now available for pre-order at your local retailer or online through our website! Adapt your beliefs and be open to new truths. You are expected to conform. Do not stray from the path. Following the events of The Wages of Sin, you are disturbed to learn that there have been even more strange sightings and worse, several more people have disappeared. You need help. How your adventure in For the Greater Good begins will depend on the choices that you have made earlier in your campaign. 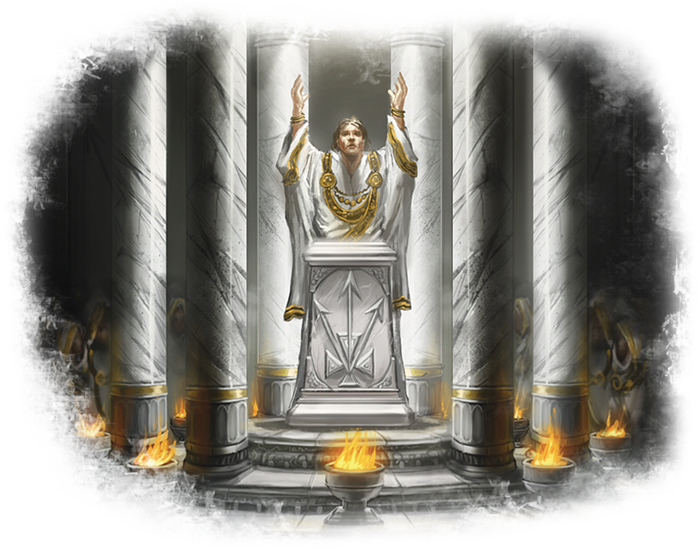 Do you believe you can trust the elite members of the Lodge, or are you suspicious of their intentions? They may be able to help you piece together the evidence you’ve collected, but if they have something to hide, you may be better off sneaking into the Lodge’s manor in French Hill to learn what they are plotting. Before you step into the halls of the Silver Twilight Lodge, For the Greater Good instructs your team to set aside one skull, cultist, tablet, and elder god token. These won’t be added to the chaos bag during the scenario—rather, they will act as keys which you may recover throughout your investigation. Keys can enter play in several ways. You may acquire them by clearing the clues from a certain location, taking them from a defeated enemy, or even more esoteric effects. Once you take control of one of these treasured keys, you must take care to either unlock its sealed door or bring it to the rest of your team… as if you control a key when you are eliminated, you’ll drop it at your location where anyone may find it. If you’re growing weak and wish to prevent this from coming to pass, you may use an action to give control of your key to any other investigator at your location. Your relationship with the Order of the Silver Twilight cannot continue to balance on the edge of a knife. You must decide whether you will place your trust in them or count them among your enemies. This need for defined lines is reflected not only in the story, but also the player cards of For the Greater Good. (The Secret Name, 116) that belonged to multiple classes. 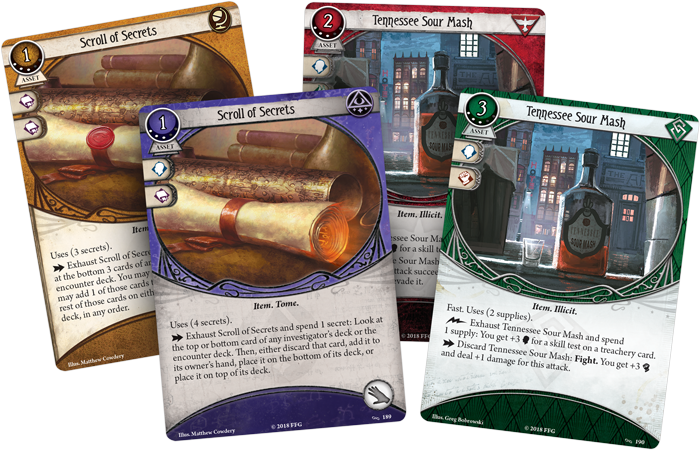 Now, as your investigators continue to gain experience from their research into Arkham’s secret history, you will have the chance to upgrade these into more powerful versions that belong to classic, single-class categories. (For the Greater Good, 191). In addition to gaining the fast keyword, the Rogue version of the card gives you an additional point to your willpower when you’re facing a treachery card, and it deals additional damage if you choose to discard it during a fight. But this is not to say that the Survivor’s version is without merits. 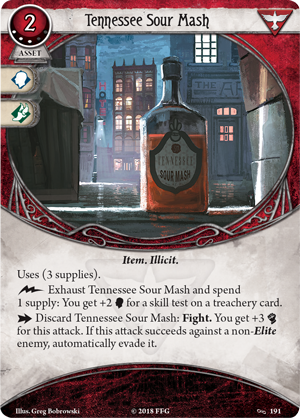 Not only is the Survivor’s Tennessee Sour Mash less expensive, it also gives its controller an additional use and the chance to evade an enemy when discarding the card. (For the Greater Good, 189) to manipulate an investigator’s deck or even the encounter deck, which a Seeker could not touch. Only by balancing your strengths with those of your allies will you be able to stand against whatever haunts Arkham—whether it is linked to the Lodge or not. What secrets are the Order of the Silver Twilight guarding within the walls of their manor? Will you trust them to tell the truth should you ask, or will you slip past their defenses to discover the answers you seek? Steel your resolve, enter the sanctum, and bring an end to the terrors that threaten Arkham! Pre-order your copy of For the Greater Good (AHC32) at your local retailer today or online through our website here! Look for this Mythos Pack to release in the second quarter of 2019. © 2016 Fantasy Flight Games. 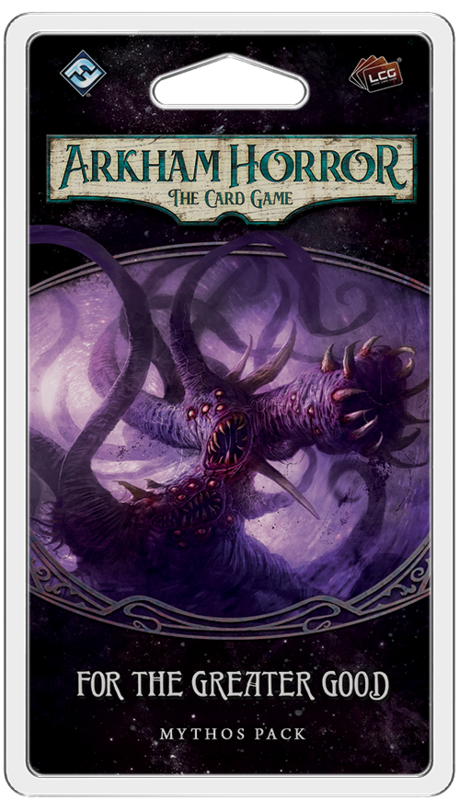 Arkham Horror, Fantasy Flight Games, the FFG logo, Living Card Game, LCG, and the LCG logo are ® Fantasy Flight Games.